This document can be also used as a cheat-sheet to help you with checking your schematic. I see a lot of engineers doing same mistakes again and again. Therefore I created this procedure, which if followed properly, will help you to minimize “the silly” mistakes. Apply this procedure to each page in your schematic. Why: All the most important information is on the first page. This gives you an idea what the component does and if it has all the features you need – very quickly and easily. How: Find the component datasheet and read the first page. Why: You will be using the pin names as a reference in all the future checking. If the pin name is wrong, the connection will be wrong. 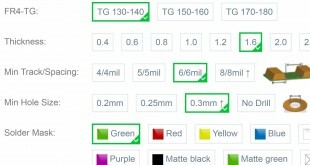 How: Find the page with a component top view which shows all the pins and its names (for a BGA, find the table with all the balls listed in). Compare with your symbol. Why: It’s very important to compare your schematics pin connection with the pin description in datasheet and its features. How: Find the table which lists all the pins and their description. Find a particular section about the pin in the datasheet. Read carefully and compare with your schematic. if this pin is an input, be sure there is a defined level on the signal – all the time. 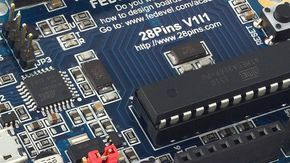 For example, if this pin is connected to a processor or microcontroller GPIO “Output” pin, this “Output” pin may be set initially as Input, until its not initialized by software. Without an external/internal pull up/down resistor, the level of this signal would not be defined. sometimes, an internal pull up / down is enabled by default. Be sure the output level is what you want (e.g. if you use the pin to drive an LED, do you want the LED to be ON or to be OFF after reset?). 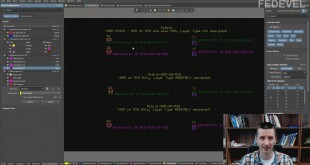 find and open the interface specification (e.g. PCI, PCIE, USB, …). 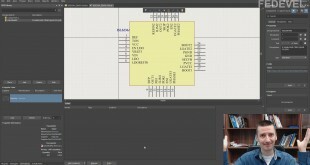 Find the connector pinout description and compare with your schematic. BE SURE YOU HAVE DONE ALL THESE BEFORE YOU CONTINUE. You need all the information to fully understand your schematic. Why: There are always some important parts in datasheet which you really should read. Be sure you do. How: Go through the datasheet, scan headers & topics and read if important. Look also for equations and tables. Check what they are for. Have a look on the pictures. Why: You need to be sure you follow the recommending working conditions. Why: If you compare your schematic to the schematic of an existing and working board, there is a pretty high chance, that your board will work at the first time. compare and check, if all the Not Fitted components from the reference schematics correspond to your notes in your schematic. Ideally, if you can find a reference circuit, which exactly fits to your needs, use it (e.g. if you need a power regulator, find a reference schematic of a regulator which delivers exactly the voltage and current you need). If you can not find the exact circuit, be sure, you double check your schematic and recalculate your components properly. Why: You want to be sure, your schematic is correctly connecting all the components and pins. How: Go through all the nets in your schematic page, one-by-one, and check how and where they are connected. If needed, follow the signal to the other pages. If a series resistor / capacitor / inductor is used on the net, follow the net to a chip input / output or a connector pin. if an output connects to an input, be careful in the cases like: “Transmit vs Receive”. Sometimes you connect RX to RX and TX to TX, sometimes you need to swap it, sometimes the pins are called the name of the signal what should be connected there and not by the actual name of the pin. be sure, all the pins in the net are working at same voltage level (some interfaces can run on multiple voltage levels e.g. audio interface can run at +1.8V or +3.3V, I2C can run at +1.8V or +3.3V or +5V, …). if this is an enable pin, check required level to be in High / Low. Compare with your schematic. if you have designed your own connector pinout, ask this question: “What will happen if someone plugs in this connector the wrong way?” It should not damage your board. Imagine, you connect a power to your board. What will happen? What will switch on first, second, third, …. 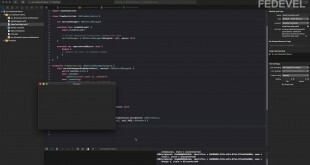 Is everything configured correctly? Why: Some components have bugs. You need to be aware of them. Also, going through a schematic checklist will give you confidence, that your connection is correct. 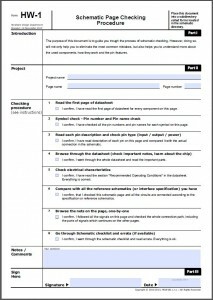 How: Download errata and schematic checklist (if available). Go through all the points and be sure, your schematic is correct.